Three years after taking corners back to back in rounds 1 and 2 (Damarious Randall and Quinten Rollins), the Packers did it again. Less than 24 hours after selecting Jaire Alexander, GM Brian Gutekunst doubled down with Josh Jackson. Incredibly, Green Bay has now picked five corners in rounds 1 and 2 since 2015. 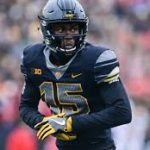 With Alexander, Jackson and Kevin King, who was the team’s second-round pick in 2017, the Packers should finally be able to match up on the back end. Tramon Williams, a savvy 12-year veteran signed as an unrestricted free agent at the end of last month, will bring much-needed experience to the position. As for Jackson, he had no business going at 14, but he’s a solid pick at 45. 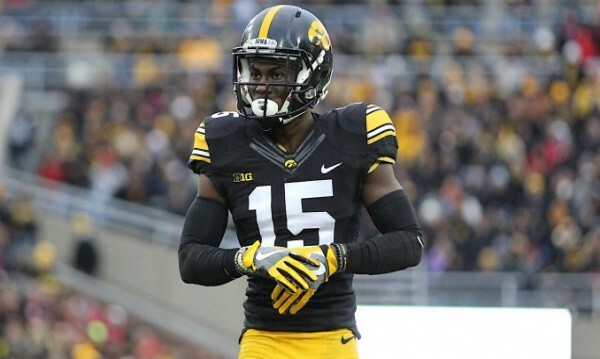 The former Iowa star has good size, excellent instincts and unreal ball skills (nation-leading 8 interceptions in 2017). Unfortunately, he also has stiffish hips which cause him to struggle some in man coverage – especially against quick receivers. That description also applies to King, so it’ll be interesting to see if the two can eventually play together. If they can, there’s a chance Alexander will see the majority of his snaps in the slot. And while that’s probably his best position, it’s still unusual to spend a top-20 draft pick on a nickel corner – even in today’s pass-happy National Football League. But let’s be perfectly honest, if King and Jackson prove to be capable starters on the outside, I seriously doubt whether anyone will really care where Alexander lines up. Gutekunst closed out Friday night by trading up for inside linebacker Oren Burks. 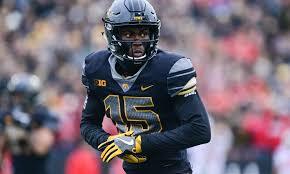 The former Vanderbilt star figures to replace Blake Martinez in obvious passing situations – something I wrote needed to happen a few weeks ago. Can’t say I know much about Burks, so I’ll watch some tape over the next few days before offering my analysis (I know that’s a novel idea, but I’d like to think that’s what makes this site different). The good news after day 2 of the draft is that the Packers should be a lot better on defense than they were at the end of last season. Added to that side of the ball have been Williams, Alexander, Jackson, Burks, former Pro Bowl defensive tackle Muhammad Wilkerson, and most important of all, coordinator Mike Pettine. Now it’s time to focus on the offense. After Friday night, the Packers have drafted 15 players in rounds 1 and 2 since 2012. Amazingly, 12 have been on the defensive side. Expect Gutekunst to focus on offense with his 8 picks on Saturday. Wide receiver, guard and tackle are positions either lacking in depth or talent. Or both.